Nothing brings out my inner brat, Trixie, faster than someone telling me I can’t have something. Add vacation and good friends to that mix and I’d be bound and determined to just let loose! Mmmmmmm, eating my weight in guacamole. You got to live, woman. The picture of the ultimate side-eye made me laugh–I’d forgotten about that photo! And now I want a margarita and fried cheese at 7:20 am. Live it up! I am a firm believer that vacations don’t count in the scheme of diet and exercise. You get a hall pass for the week you’re gone. Drooling over the fried cheese. You look super-hot in your bathing suit and the mojitos look super-cool, so I hope the 4am breakfast was delicious and your son’s side-eye could rival Sophia Loren’s. Dr. Lori is plotting like an evil scientist right now! So when you come back to reality, you do those serious cardio workouts again. You’re on vacation in Mexico, not a fat farm. ENJOY! Your vacation food of fried cheese sounds better than my vacation food of fried squirrel (as I’m in Southern MO and not Mexico). The side eye picture is hilarious!!! I’m sure I’d be side-eyeing her bosoms-es too–wondering at what point they would just pop right out of that dress!! 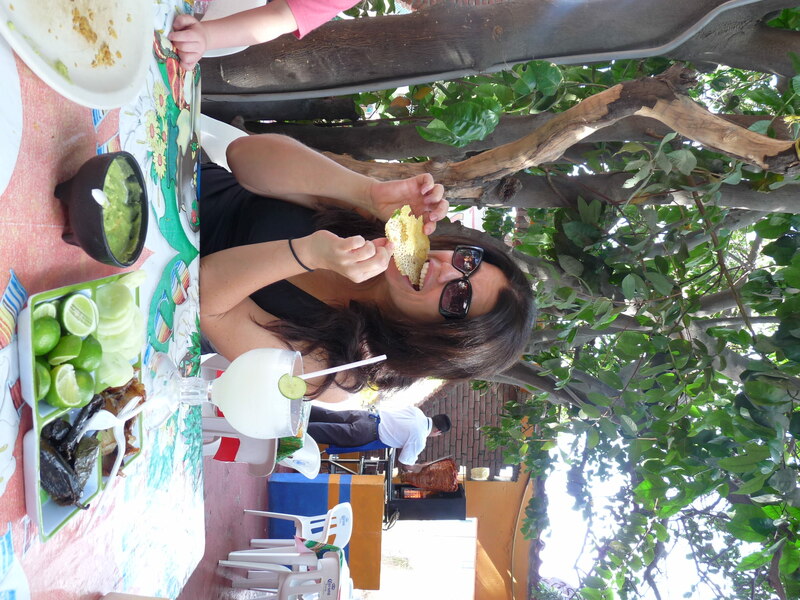 Mmm, fresh guacamole in Mexico–ENJOY!!! I cannot believe you were really heading to Mexico — promise land of the Margarita and the queso — and were going to stick to a diet!!! You are most certainly a glass half full kinda gal! Most impressive. But I’m very proud you didn’t stick to this utter craziness! Carpe Diem! Especially when there’s tequila and cheese to be had!! I’m writing this while snockered on margaritas and tequila shots – oh holy crap have I ever fallen/jumped off the wagon…and It. Is. Awesome. I expect you to be equally carpe-diemish when you hit Vegas, baby! Agreed with the above: diets have no place on vacation. Live it up and enjoy! I’m now craving salt, fat, and alcohol. I’m onto you, Lori, and I’m calling you out. Only because my name is not Lori. You are my kinda gal! Bottoms up! I LOVE Cabo! We go to San Jose del Cabo whenever we go…so quaint and quiet- not the party town of Cabo itself…I miss Cabo. 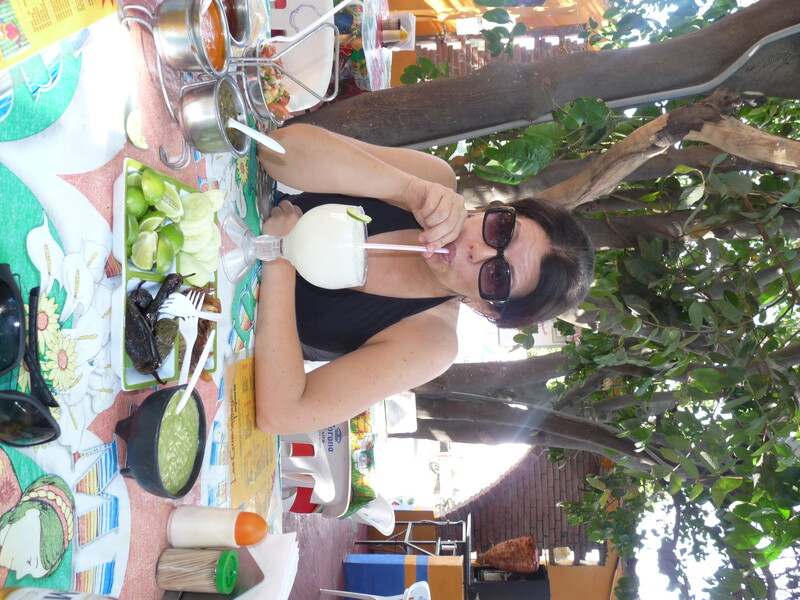 I LOVE San Jose del Cabo – that’s where we stayed! You do “snockered” well! Have you been head banging yet? If so, we are definitely related. oooh oooh ooooh. I almost forgot…you can now subscribe to The Colie Chronicles by email and just so’s you know – I did that JUST FOR YOU my sista!